I've written dozens of articles on Sales Process an you can read many of them right here. If you pay attention, you can even see how my thinking has changed over the last 10 years. While I have never wavered on the importance of sales process, I have modified my thinking on why it's so important, what it must consist of, how it should work, and how it should be integrated into CRM. 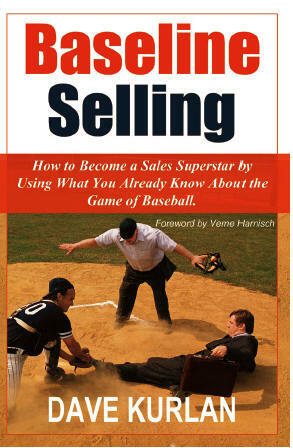 When the folks at Gazelles / Growth Institute asked me to write an article for their Blog, they suggested that I write about the Sales Process I introduced in my 2005 best-selling book, Baseline Selling - How to Become a Sales Superstar by Using What You Already Know About the Game of Baseball. I had already recorded a one-hour seminar for the Growth Institute Scaling it Up Club and they thought it would make sense to write about that. Instead, I wrote what I believe is my best article to date on the importance of sales process and what executives routinely show me when I ask to see their sales process. The article should be fun to read so let me know what you think in the comments. 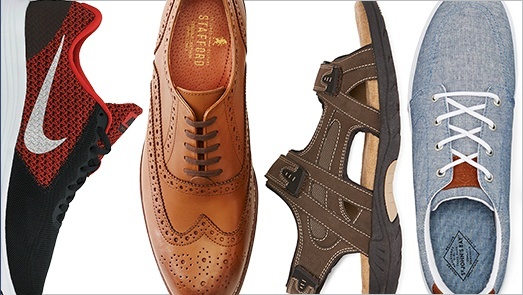 Read Why a Customized Sales Process is Like Buying Shoes. The funny thing is that I wrote that article for them long before I started the book, Shoe Dog, and wrote this article! Suddenly, it's all about the shoes! I love finding cool new apps for my iPad and I'm always looking for the next great weather app. I recently downloaded eWeather HD and as I poked around, I found something I had never seen before and it has a huge tie-in to sales management, the pipeline, and accurate forecasts! A 2.8 in San Juan, Argentina, a quake in Eastern Turkey that registered 2.3, a 2.4 in the Ionian Sea, a 3.0 in Oklahoma and a 3.1 in Alaska. And if we go back just 8 hours, there were 14 others, including a 4.3 in Mexico, a 4.5 in Japan, and a 5.0 in Vanuatu. 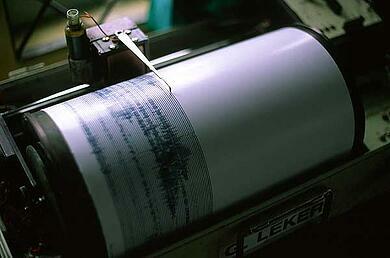 I don't know about you, but I had no idea that our planet experienced non-stop quakes. I thought that the ones we heard about on the news accounted for all of the known earthquake activity. If you run a company, lead a sales force or manage salespeople, you are probably in the dark about salesquakes in much the same way I was in the dark about earthquakes. The salesquakes registering 5.0 and up on the Kurlan scale - issues that your salespeople come to you with - you know all about those. But how many of the issues do you hear about when they register below 5.0? There are dozens more, but you get the point. You should know about these salesquakes! If you have the right CRM solution, and it was configured properly, it would be alerting you to salesquakes in much the same way that eWeather HD alerts me to earthquakes. If you are using one of the most popular solutions, you probably couldn't identify these quakes even if you were looking for them. That's one of the things I like so much about Membrain. There's a ready-to-use version with my Baseline Selling process, Visual Pipeline and methodology built right in that you can get here, or you can contact Membrain for their loaded version with everything you need to run a sales force. We may not be able to stop earthquakes or even forecast them, but we can put an end to salesquakes and improve the accuracy of our sales forecasts. Top Sales World and LiveHive have gotten together and published a terrific ebook on getting a jump start to your 2015. You can download the book here. You can download the latest issue of Top Sales Magazine here. Are you old enough so that if you don't write something on your to-do list you won't remember to do it? That's me. I don't feel old, I don't look that old, but I'll be 60 next year and have become a slave to Wunderlist. On Monday, I forgot to push the correct notification button and only some subscribers were notified of Monday's article. That article was perhaps the most important article I have written in all of 2014 and it introduced my latest White Paper - The Modern Science of Sales Force Excellence. This White Paper has ground-breaking insights and has already been nominated for Top eBook of 2014! The Monday article clearly shows the differences between companies with shorter sales cycles, higher win rates and greater increases in sales. My new client learned that the others had not even heard of his company. Did you read Monday's article? There was one significant difference not included in that article. In 96% of the companies where new salespeople were outperforming those hired previously using other methods, those companies had integrated their sales process into their CRM or pipeline management application. Would that have helped here? That depends on which application was being used. We use Membrain at both of my companies and we recommend Membrain to all of our clients. There are many reasons as to why we believe that Membrain is an ideal Pipeline Management tool. Here are a few that would have helped our client if his company had been using Membrain. These opportunities were no longer included in the forecast. The application would have proactively notified my new client. One of the biggest and most chronic complaints we hear from clients is that they either can't get their salespeople to use the company's CRM application, or they don't update their CRM in real time, updating it only when asked to do so. Does that sound familiar? Companies with that problem - and that's most companies - rarely see an accurate forecast, rarely know the progress their salespeople have made on opportunities, and rarely have the data necessary for their dashboards to display accurate information. The thing we like best about Membrain is that salespeople like Membrain - a lot! It's simple to use, has no complicated navigation, requires almost zero data entry and always shows salespeople their pipeline on login by default. It's opportunity-centric instead of data-centric. Most of all, it doesn't require an integrator to customize it - to get your sales process built-in and hooked up to the pipeline, dashboard and forecast. Everyone on my team is able to easily work with the Membrain application and customize it for clients. It doesn't take long, and the end result is an awesome, robust sales process/opportunity focused application and clients fall in love. I have always preached that salespeople should live in their CRM. Membrain makes this possible. In my 2005 book, Baseline Selling (kindle edition is ranked #53), I introduced the concept of a Visual Pipeline. Membrain brought this to life. You can check out Membrain here and take advantage of the special pricing they are offering my readers! It's ready to rock right out of the gate. there are five levels of professional baseball: a short season A team, a full-season A team, and then, as the player becomes adjusted and ready for the two higher levels in the minor leagues; AA and AAA. Then, if and when he's good enough, he'll be promoted to the Majors. Most people can see the differences in the caliber of play when comparing a Little League game to a high school game, or a college game to a professional game. Most people aren't able to recognize the differences between each of the 5 professional levels. They may be watching a minor league game, but it sure looks like professional baseball to them - without the 35,000 people in the stands rooting for their team. Pitchers make the pitches, hitters hit the ball, run the bases, and everyone make the plays. It is professional baseball, but in the minor leagues, pitchers don't command their secondary pitches. While they already have a major league-ready fast ball, they have not yet mastered the ability to throw their curve ball, change up or slider to the exact spot it needs to go. Hitters in the minor leagues are able to hit a fastball with authority, but may not be able to recognize, adjust to, and hammer breaking pitches. The exact same difference exists between sales experts like me and sales leaders like you. Most sales leaders can easily differentiate between salespeople who are awful and those who are not awful. They have difficulty differentiating one awful salesperson from another. If you're asking yourself why I'm placing this in the context of awful, rather than good, it's because 74% of the sales population is awful! 8 salespeople who are awful, making up the remaining 74%. A typical sales leader looks at the sales force and can differentiate between the 2 good and 8 bad, but isn't able to explain why. Sure, they can point to sales numbers and activity, but those aren't reasons, as much as differing results. It's very difficult to coach someone up when you don't know the cause of their ineffectiveness. Bob has a full pipeline, but despite all of the opportunities, his win-rate is pathetic. Mary has a nearly empty pipeline, but closes most of the opportunities she does uncover. Bill has a poor pipeline - half way between Bob and Mary - but most opportunities get stuck and don't move through to closure. You can easily determine that Bob is a successful hunter, but an awful closer. You can easily determine that Mary is a successful closer, but an awful hunter. You can easily determine that Bill isn't very good at anything. Now let's pretend that they are your salespeople. That shouldn't be a stretch because you probably have 3 salespeople who look like this. Do you know why this is happening? Do you know how to figure out why it is happening? Do you know that a seminar on prospecting or closing won't change anything? Do you know what is in their Sales DNA, their Will to Sell, or their Sales Skill Sets that are responsible for these outcomes? Do you know if they're even trainable? Do you know if they're really coachable? Do you know if you're any good at developing salespeople with these mysterious issues? Of course you don't know. You're not even supposed to know. If you did know, they would each have been either fixed (because you knew what to fix and how to fix it) or replaced (because you knew it couldn't be fixed or you weren't capable of fixing it). Right? That example is only one of the reasons to evaluate your sales force. Here are some more. Yesterday, I was coaching first base in the game that would determine the Little League championship for our town. It was late in the game, we were down by 4 runs, and had runners on 1st and 3rd. The runner on 1st base would need to steal second and perhaps draw a throw that would allow the runner on 3rd base to score. A double steal! There was only one problem. He had been reluctant to steal all season. When given the sign, when asked, when told, he just didn't want to steal. After all, one of the 10 Commandments is "Thou Shalt Not Steal." He couldn't defy God for the sake of baseball, could he? I had a private chat with him at 1st base and told him that this wasn't about him or what he was comfortable with. This was for the team, we were playing as a team, and would win as a team. He should want to steal - for the team. He didn't. Another chat, another reminder, another non-attempt. A third chat, another request. No movement. The count on the batter was 2-1 and it was time for a desperate fourth chat. This time, I demanded, with dire consequences (that I won't reveal here), that he steal. He went. 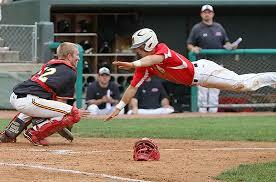 The catcher threw and he was safe at 2nd and the run scored. A momentary victory in the game within the game. A play that will change him, even though it wouldn't change the eventual outcome of the game. This morning, thinking about that play again, I'm reminded of two selling scenarios that are nearly identical. First, there are the salespeople who just don't want to pick up the phone and make calls. How similar are they to the kid who won't steal 2nd base? We're not asking these adults to steal, but we are asking them to talk to strangers. Is it possible that when faced with the task of making calls, they revert to their lessons from early childhood? Today, kids don't even talk on the phone. They text. I can't get our 12-year-old son to make a phone call under any circumstances. What are the chances that he would make calls if he entered sales as an adult? The second scenario involves all of the entrepreneurs out there who, according to a December 2013 Forbes article, number around 20 million! Most entrepreneurs don't give selling a single thought until they have already started their businesses. It's only then that they realize they might have to sell something in order to eat. I wrote an article that appears on the #1 site for entrepreneurs, EvanCarmichael.com, that explains the 3 biggest obstacles entrepreneurs face when they must sell and how to overcome them. The article applies to everyone in sales, not just entrepreneurs. You should read it! Back to making those cold calls. In the old days, if a salesperson didn't pick up the phone or knock on doors, we starved. There just wasn't any other way around it. 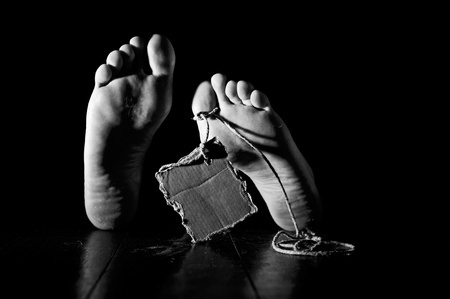 Today, there's social selling and while some view it as a solution for call reluctance, I think it's a crutch. I'm all for anything that helps a salesperson to sell, but does social selling really do that? Does adding someone to your LinkedIn network make a sale? Is having a connection the same as being connected? Is being connected equivalent to being able to schedule a meeting with that individual? Is being active in groups the same as making calls? While we are surely more visible through the social networks, all of that busy work serves as smoke and mirrors for the salespeople who are reluctant to pick up the phone and make calls. They have hope (by all accounts a good thing), but it's false hope. After someone accepts the invitation to join their network, they can't reply with, "Now that we're connected, I want to talk with you about what we do. Is it OK if I call?" While they can hide behind the keyboard and type a lame request like that, the lack of an actual conversation will make it even more difficult to schedule a meeting. And you can't have a conversation over email or LinkedIn. 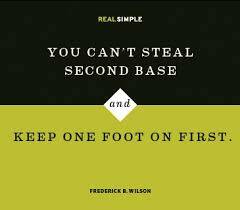 There's an old saying in baseball that has been around forever and used as an anaology for many things: "You can't steal 2nd base and keep one foot on 1st." The same goes for selling. You can't schedule a meeting if you don't pick up the phone. I love comparing baseball with selling. It all started in 2004 when I began writing my best-selling book, Baseline Selling - How to Become a Sales Superstar by Using What You Already Know about the Game of Baseball. Several readers emailed me this week to ask why I hadn't yet written anything about the World Series, especially when my favorite team, the Boston Red Sox, are participants. I said it had to "hit" me first. 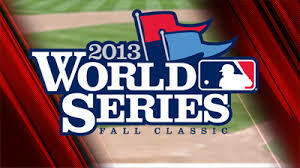 It's the eve of Game 6, but people are still debating the final plays and resulting call that ended Game 3. If you have been hiding in a cave, the final out of the game occurred when Allan Craig, who appeared to be an easy out at home plate, was called safe due to obstruction by Red Sox' third baseman Will Middlebrooks. Most fans in Boston still can't believe or accept that the game ended under such bizarre circumstances. It reminded me of salespeople who continue to bemoan what they perceive to be bad decisions by prospects who awarded business to competitors. Instead of bad or wrong calls and decisions, I believe that it's critical to frame decisions that don't go our way as tough decisions rather than bad or wrong decisions. "Bad" is a judgment and leads to debate, while "tough" forces us to move on to lessons learned and action steps. It is far more productive. Jarrod Saltimaccia was 0-4 before his walk-off, game-winning single in Game 2 of the ALCS. David Ortiz had been 0-6 in the ALCS before his game-tying grand slam in Game 2. Jonny Gomes was just 5-33 in the post season and 0-9 in the World Series before his game-winning, three-run homer in Game 4 of the World Series. Mike Napoli was 0-6 before his game-winning homer in Game 6 of the ALCS. These guys stepped up and came up big despite their struggles. Ortiz and Napoli went on tears after their key hits. Both examples in today's article really examine how players react to adversity. You have salespeople who also must overcome adversity. The big question with sales forces (especially salespeople) is can your non-performers step-up and become performers? At Objective Management Group, we use science to determine and accurately predict whether your B's and C's can become A's and B's. Track record, recent sales and gut instinct won't do it. That's not science. We consider measurable sales findings that are highly predictive of future performance. John Farrell, Red Sox Manager, said his team is winning these games and coming through in the clutch "because of their will to succeed and their desire for success." Among other things, we measure those two characteristics in salespeople to help determine whether your B's can be coached up and your C's can be saved. Of course, it's not enough to know if they can be saved. You also need to know how much better they will perform, what it will take in terms of training and coaching, and how long it will require to get them there. We do that! So, as in baseball's 2013 Playoffs, can your struggling salespeople step up and become the performers you need them to be? Let us help you find out! Last week I wrote an article, Now That You Have a Sales Process, Never Mind, that was very critical of an article that appeared in Harvard Business Review. The authors were nice enough to clarify their position and, even if you read my original article, it's worth revisiting because of the additional discussion that took place after it appeared. I mentioned the number of times that I have been critical of an HBR article on sales, but I have been nearly as critical of Geoffrey James, a contributor to Inc. Magazine. He has written a few articles which, at minimum, embarrass me and, at worst, reflect badly on him. Earlier this month he wrote, 4 Things Your Customers Don't Want, another article that qualifies for some questioning. The Challenger describes a certain type of salesperson, one that Objective Management Group (OMG) has been identifying for 23 years. This highly successful, elite salesperson, has a Sales Quotient of 140 (out of a possible 173) or better. This elite salesperson is also described in my 2005 best-seller, Baseline Selling, where I introduced a sales process milestone called SOB Quality (speed on bases, a baseball expression). To achieve SOB, the prospect or customer is paying more attention to the salesperson than his/her competitors and achieves that by asking good, tough, timely questions; questions that other salespeople are not asking, questions that lead to better and different conversations; questions that challenge the prospect's thinking. Questions that challenge the prospect's thinking is the essence of the Challenger. The Challenger isn't new - the authors of the Challenger simply gave this salesperson a name, got it published in - here we go - The Harvard Business Review, and bingo, it's got credibility. But, as with most things, now people are talking about the Challenger Sale as if it were a selling process, but, as you must realize, it's not. In Baseline Selling, it's a milestone. It's not the first time that people saw a process when none existed. People still think SPIN Selling is a process. It's really a methodology and it fits, in its entirety, between 1st and 2nd base in Baseline Selling. Ironically, the much simpler equivalent to SPIN in Baseline Selling is another milestone, called Compelling Reasons. The essence of Geoffrey's article is his criticism of the concept of challenging a prospect's thinking. He says they don't want that, but he's only partly right - about the statement - and dead wrong about the implications. If we are discussing a transactional sale, then he is completely correct. Let the customer just buy what they want to buy and don't complicate it. But most of us in the sales consulting space don't consult to companies with a transactional sale - that's marketing's job to get more people to buy! However, if we are discussing a more complex sale, or your company is an underdog (higher-priced, newer company, smaller company, new technology, expensive, customizable solution, engineered solution, story to tell, or otherwise not the price or market leader), then you not only have salespeople, but they must overcome resistance with nearly every prospect they encounter. Middle managers, who have been tasked to gather information, may not want their assignment challenged and may very well want to simply buy. In this scenario, without context, James is correct again. However, in the context of a real sales cycle, the salesperson needs to identify and finally meet the decision maker. In order to accomplish that, the middle manager must be challenged with enough questions, that they can't answer, so that they feel the need to involve a decision maker. When the salesperson meets the decision maker, these challenging questions must be asked to not only justify the meeting, but to achieve SOB and differentiate. This is where James is so wrong. While the prospect may not have wished for this experience, most decision makers appreciate the push-back that they rarely get from their direct reports and other salepeople calling. Everything needs context and a lot of what is written today lacks the context to make it applicable. In summary, prospects may not want to be challenged, but are appreciative when there is value to the questions being asked. The Challenger Model is not a sales model; it's a name they came up with to describe an elite salesperson that OMG identified two decades ago and I described as a selling milestone in Baseline Selling in 2004. If you're within an hour of Baltimore, I'll be there speaking at a public event (CEO's, Presidents and Sales VP's only) on Wednesday, October 23. If you're interested in attending, email me and I'll get you a complimentary ticket. If you're within an hour of Atlanta or NYC, my colleague, Dennis Connelly, will be speaking at two public events. Tomorrow, he'll be in Atlanta and on Thursday, he'll be in NYC. If you're interested in attending, email Dennis and he'll get you a complimentary ticket. if you aren't available for those three events, then perhaps you're available for my International Webinar on Thursday, October 24, when I'll discuss the reason why 4 Out of 5 Sales Managers are Ineffective and What You can Do About it. Register. It's amazing what Harvard Business Review will print on their pages when it comes to the subject of sales. This post marks the 6th time that I have strongly felt the need to question an article appearing on their pages. 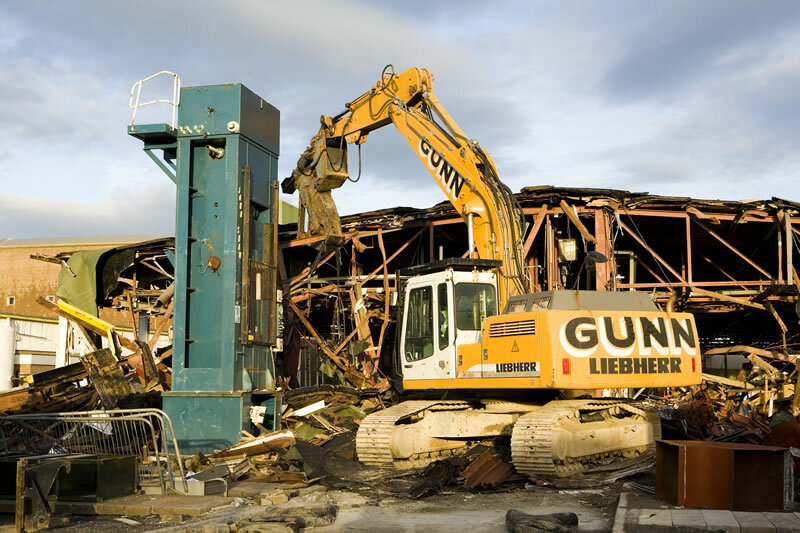 The November 2013 issue featured an article titled Dismantling the Sales Machine. Their member companies are big companies. Most of what happens when they sell stuff doesn't apply to small and mid-market companies. As recently as April of 2013, Objective Management Group's (OMG) data on 1831615 salespeople overall, and 85,000 from the past 12 months, showed that 91% of the companies did not have a formal, structured sales process in place. In other words, lack of sales process (typical since I entered the sales development space in 1985) has not changed at all! They may have accurately identified the effects (sales cycle, conversion ratios, forecasts and margins), but missed the boat on cause. Those are the exact same issues we have identified in the 10,000 companies whose sales forces we have evaluated - the companies where 91% did not have sales processes! SPIN Selling - Most people think it's a process, but it's a methodology and SPIN, in its entirety, would fit between 1st and 2nd base in Baseline Selling. I've seen processes that were so terribly sequenced that it was nearly impossible for salespeople to gain traction. The point is that having a process is not the same as having an effective process and, in most cases, is no more effective than having no process at all. The authors made a recommendation that I believe was even more flawed than their data and conclusions. They suggest giving salespeople flexibility to use a judgment-focused, rather than process-focused approach. Well, according to the data on 1831615 salespeople, 91% of whom were already selling by the seat of their pants (aka best judgment), we could expect them to have trouble with sales cycles, conversions, forecasting reliability and margins. Sound familiar? If the authors want to identify the cause of those 4 effects, they should look no further than sales management, 82% of whom aren't able to coach their weak salespeople to sell more consultatively - the other reason for the 4 effects. Proof of their ineffective coaching can be found on page 4 of the longer than necessary article where examples of questions that used to be asked during pipeline reviews are revealed. Those aren't sales coaching questions, those are tick marks in the CRM system! By the way, this is World Awareness Week - a Celebration of Top Sales World - click the image below to visit.